It’s the three amigos back this week as Leon decides to grace us with his presence! 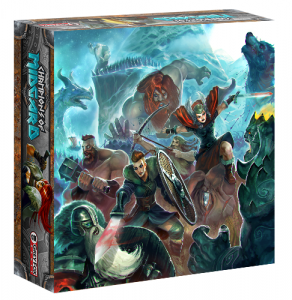 He then leads us through Champions of Midgard including a stopover at Valhalla in this weeks what we’ve been playing. Then buckle in buckaroos as Mark rambles through Kickstarter which takes us through to the end of this weeks show! Make sure to pay close attention to Garth’s confusing intro this week as there may be a prize in it for you! All that and even a little more, thanks as always to Area 52!